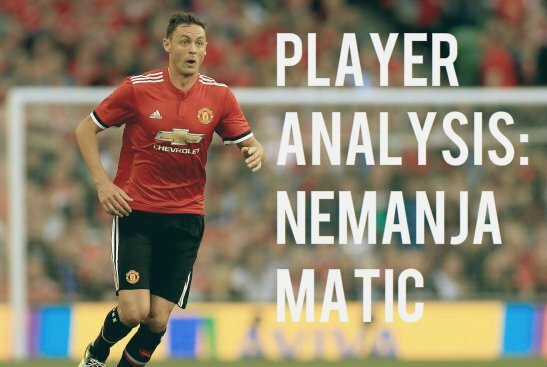 Is Nemanja Matic Manchester United's most important player? Home Manchester United Is Nemanja Matic Manchester United’s most important player? Nemanja Matic has had an impressive start to his Manchester United career. He has started alongside Paul Pogba in a 4-2-3-1 formation which has seen United scored 8 goals and concede none in their first two games. Jose Mourinho is expected to use the 4-3-3 or the 3-5-2 formations in big games, depending on the opposition and in both the formations, Matic fits in perfectly. In his first two games, Matic was excellent defensively but his contribution going forward was what stood out. Especially against West Ham in United’s first game of the season, Matic dominated the proceedings in the center of the park and allowed Pogba to venture further forward. He completed the most number of passes, attempted the most number of take ons and was awarded the man of the match in a 4-0 victory. It is clear, that Mourinho’s first choice midfield in a 4-2-3-1 formation would be Paul Pogba and Nemanja Matic. In the big games, it is clear that Mourinho will opt for more protection and will play the extra midfielder or he might turn to a 3-5-2 formation which United practiced extensively in the pre-season. Matic of course won the Premier League title with Chelsea playing in front of a back three, so he clearly understands his role in a 3-5-2. If Mourinho opts for a 4-3-3, Matic would most probably be played as the deepest of the 3 midfielders with Ander Herrera supporting him and Paul Pogba in a more advanced role. Straightaway, Nemanja Matic has become one of Jose Mourinho’s key player. Whether Ander Herrera would be happy with a much reduced game time this season is another matter altogether.